Now and then you come across an author who makes you look deeper into the lives of those between the coves of the books. Jane Kirkpatrick has done this now with all of the books I have read by her. It started with A Light In The Wilderness, spread to the novella A Saving Grace and now with The Memory Weaver. I could have simply read biographies on the strong women of who she writes, but I didn't know about them beforehand. I simply stumbled onto her books when I signed up to review them with Revell. I live in the Inland Northwest and love the rich history of our region. Through reading I have mined a treasure trove of stories that are worth retelling future generations. I admire authors like Jane Kirkpatrick who keep these stories going. The Memory Weaver is an exceptional book about love, forgiveness and learning to move on from the most tragic situations. Eliza Spalding Warren was the oldest daughter of Eliza Hart Spalding and Henry Harmon Spalding, early missionaries who came west with Marcus and Narcissa Whitman. Eliza is distinctive as the first white child born in the Northwest who survived. She is also distinctive for being a survivor of the Whitman Massacre of 1847. She had been sent to school there by her parents, who remained at their mission at Lapwai, on the Clearwater River in Idaho. Her story touches me still, several days after finishing the book. The book toggles between Eliza's life after the tragedy at Waiilatpu and entries of her mother's diary. Her mother Eliza journaled their life at Lapwai among the generous, peace loving Nez Perce tribe. She also recounts the horrific aftermath of the massacre and the subsequent trial of the Cayuse where young Eliza is taken by her father to recount what she saw. The stories of the daughter interwoven with her mother's diary are compelling and bring both women alive once more as only a skilled author can tell. "A novel allows one to speculate about the why and how one felt regarding an incident. Biography or nonfiction allows one to explore what and when but must hesitate about exploring people's feelings. Novels are meant to move people, to bring emotion to the surface and enable us to see our lives in new ways." 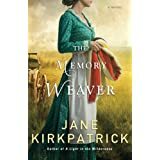 - Jane Kirkpatrick as written in the author interview for The Memory Weaver. I have been moved by this book and enjoyed researching more about the Spaldings and their role in shaping the Oregon Territory. I hope to visit Brownsville and Aurora Oregon one day soon as well as the Nez Perce Museum at Spalding Idaho. Books are powerful and keep our minds sharp. The gift of a good book is incomparable. My recommendation is that you purchase two copies of this book, one to give and one to keep so that you will have someone to discuss this amazing story with. An Amish Man of Ice Mountain...A Warm, Gentle and Loving Story. Set far away from the Amish Community of Ice Mountain in a community of men working on an oil rig was an unusual beginning for a work of Amish fiction. Joseph King worked on the rigs to watch and protect his younger brother Edward. Edward was working to build a nest egg to wed Sarah, who waited for him on Ice Mountain. Priscilla, a young single mother lives in her car with her young daughter. She was abused as a child and endured worse horrors from her ex-husband Heath. Priscilla lands a job at the motel where Edward and Joseph King stay while working the rigs. By chance Joseph and Priscilla meet and meet again. She is slow to trust him but circumstances thrust him into her life. Predictable? Perhaps but the story is a good one and has a different twist than your usual Amish romance. Love stories beg to be shared. I read this book several months ago and am still intrigued at the idea of a love story written with the man's voice. Joseph is a good man who has been out in the world and ready to come back to his Amish life while Edward is having much too much fun living among the Englisher. I recommend this book as a good study in human nature that is well written with complex characters. If you are looking for a good book to sip your afternoon tea with on a fall day like today, this is it. I found it online for my ereader. This is the first book I have read by Kelly Long and I look forward to many more. A Noble Masquerade - Regency Meets Suspense! Kristi Ann Hunter is launching her first book, A Noble Masquerade this week, and I had the privilege of reading an advance copy. I found all the elements of a good story between 361 pages including romance, intrigue and a bit of old fashioned faith. Lady Miranda dreads the approaching London Season. This will be her sister Georgina's first season and her fourth. As such, she is feeling the impending doom of spinsterhood. With this in mind, we begin our story with her chance meeting of Marlow, the new valet of her brother, Griffith, the Duke of Riverton. Undone by this handsome valet, she encounters him quite by accident again and again. He seems to be everywhere she turns. She is intrigued by him yet keeps up appearances as mistress of the household for her brother. When Miranda was young, she began to write letters to the mysterious Duke of Marshington, a school chum of Griffith. It started innocently as journal entries where she had the freedom to confide her thoughts and dreams. The letters were never mailed. Ever efficient Marlow, finding one of these letters. mailed it quite by accident to the long lost duke. This is where the story gets hot. Nobody knows where the elusive duke is or how to reach him, yet Marlow seems to find the address and a week later a reply arrives. When she decides to respond to the reply she relies on Marlow to post it. Her feelings are swayed by him yet she is secretly delighted with the attention of the duke. Marlow is charismatic and well turned out but he is a valet. As suspicious valet nonetheless but he could hardly compete with a duke. All is not as it should be when the season opens. Balls, parties and card games lead to day time visits to the ladies at home. Miranda's thoughts are on the letters and hopes of meeting Marshington face to face. When she does meet him it isn't at all as she dreamed of. Sparks fly when he is finally revealed to her. Her world is turned upside down as the game is up an underlying tale emerges that takes this story to another level. It is, after all set in the days of the Napoleonic wars and not all are loyal to the crown. You will have to read the book to get any more information on this front! There is a lot of chemistry among Miranda, Marlow and Marshington. To see it on film is one thing but to find it in a book is a good recommendation for the author. Sophie Menzies is one of those forgotten women left behind after the Revolutionary War. Her father, a Tory, fled to England after a near miss with the bucket of tar, leaving his wife and daughter alone at Three Chimneys. Her mother has died and her brother is among the missing casualties of the war. Her father's political bent has left her with is poor reputation and she ekes a living with minimal resources. Anyone but Sophie would be bitter but she is of a good nature and pleasure in the smallest of things. She is the ideal heroine. She is pretty, she loves with her whole heart and is sensible. After a chance meeting with Lili Cate Ogilvy, Sophie is captivated with the motherless child. Her father, General Seamus Ogilvy, a decorated war hero has come home to Tall Acre to raise his daughter alone. After the war he "rescued" her from his late wife's sister's home under the cover of darkness. His quiet resolve in being a father who is there for his daughter is not lost on Sophie, whose own father was distant and cruel. She becomes a resource for Seamus and becomes a favorite inside the walls of Tall Acre. Mystery shrouds the circumstances of the man seen watching both Tall Acre and Three Chimneys. As the story unfolds we see the blossoming of romance between Seamus and Sophie that may or may not be. There are shadows of the past that keep invading the calm after so many years of war. Laura Frantz is a wonderful writer of historical fiction and Tall Acre is a reflection of good research and masterful story telling. The characters are interesting and believable and engaging enough to make you want to come back and finish the book. I did and I stayed up way too late to finish it! Last Chance, New Mexico is one big fan of high school football. The new head coach, Andy Ryan, late of the NFL is also the town's most famous football hero. No other team has been able to reach the heights of his high school team and it is no secret that the town has pinned their hopes on him to bring the glory days back to Last Chance. No pressure, just wins. Dr. Jess MacLeod wanted to be a small town doctor since she was a little girl. She chooses Last Chance New Mexico a town of barely 700 people to open her practice. She soon finds that people are more willing to drive to the San Ramon clinic than start with a new doctor. Last Chance Hero is Cathleen Armstrong's 4th book in her popular A Place To Call Home Series. Jess and Andy seemed destined to be together it would seem since they run into each other regularly after Jess arrives in Last Chance. He is a handsome, eligible and very available. She is smart, beautiful and has never been to a football game in her life. As the first weekend of our own high school season has unfolded, it is fun to see how the town rallies around the team. I enjoyed the characters and many have returned as good neighbors do from her previous books in the series. The townspeople may have a pretty good idea what everyone else is up to but their caring ways for their own make Last Chance a place to stay settle down. Andy and Jess may seem like oil and vinegar with his love of the game and her avoidance of the stands, but the story is so much more than small town hero meets big city doctor. The lessons learned of faith,hope and forgiveness in the story will give the reader an insight into human nature that are worth the journey to Last Chance. I recommend not only this story but the whole series, beginning with Welcome to Last Chance. Along the way you also may develop a craving for some chilies like I did. Enjoy! I put my sewing aside for way too long. I am getting inspired by all the fall patterns I've seen online. 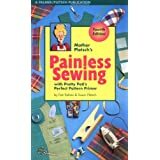 One of my favorite sewing websites iswww.palmerpletsch.com. I first encountered Pati Palmer when I was a young Fabric Consultant for Discount Fabrics, a chain that started in Portland Oregon. Pati Palmer came to one of our local stores as a representative from Armo Interfacing to present a day-long seminar on interfacings. I learned so many tricks and tips that I became the go to gal in our store. Her lessons have stayed with me. When I learned about her first book on tailoring I decided to try my hand on making a wool suit with a coordinating blouse. Talk about fear and intrepidation, but her patterns were so stylish and she was so encouraging that I bit the bullet and found a lovely piece of wool to take the project on. It turned out so well that I got the bug to make a coat using one of her coat patterns. Oh my I love that coat. I still have it although it is rather shabby. I can't part with it as I have too many memories of that accomplishment. You can almost feel her encouragement inside the instruction pages of her patterns and right now as I sip my first cup of coffee today, I am considering my sewing machine just waiting to be plugged in. This is the exact same machine I used to make my coat and it still hums along every seam. My mind is conjuring up fabric for this versatile knit wardrobe. Mixing and matching the pieces will make getting ready for work every morning a breeze. It is no secret, I love the Oregon Coast. One look at this inviting cover and I knew a treat was waiting when I started turning pages. Irene Hannon is such a versatile writer that I am always intrigued when I see another book offered. All these things considered, I knew I had some good reading waiting when I hit the beach on vacation last week. The story unfolds when widower Michael Hunter arrives in Hope Harbor only to find the one and only motel in town closed until further notice. A chance encounter with a food truck owner and a bitter old woman start a chain of events that keep Michael from driving to another coastal town for his sabbatical. Tracy Campbell comes from a long line of cranberry growers who along with her uncle struggle to keep their legacy alive while other growers were selling out to big money growers. She juggles her work on the farm and works late into the night with her CPA business. Michael and Tracy met his first day in town. They got off on the wrong side of the curb so to speak when he walked into the street causing her to wreck her bike. Groceries ruined, and sporting a few bruises Tracy knew this menace too Hope Harbor was to be avoided at all costs. The story has a way of weaving together many people who normally would not seek each other out. The same people, once caught by these chance encounters find themselves breaking out on the edge of their comfort zones. God has a way of doing that to us when we need it most and the results are surprising. Irene Hannon is a talented author who can make you fall in love with romance or sit on the edge of your seat with suspense filled drama. The surprises in the end are not in happy ever afters or who loves whom but how do all of these people connect and why does it matter? Pick up a copy of Hope Harbor and find out! You can purchase it any of your favorite online booksellers or try your local bookstore. This is one book that is a keeper because it has love, forgiveness and a whole lot of possibilities inside.